2. Place in a large saucepan with the rice water. Bring to boil and precook for 15 minutes. Then rince the daikon under cold water. 3. Cut the Squidl into bite size pieces. 4. 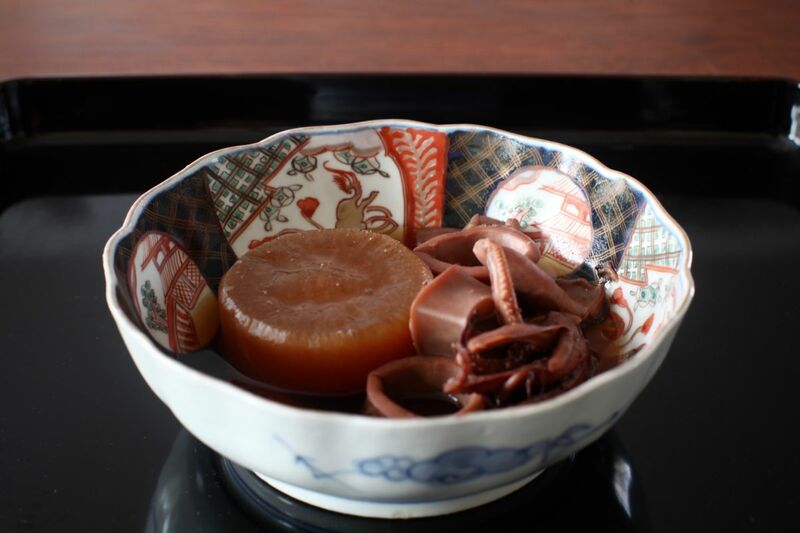 Pour dashi, daikon pieces in a large saucepan and bring to boil, add sugar, sake, squid. 5. Cook for 10 min and remove the scam. 6. Add soy sauce, mirin and cook for 20min until the squid and daikon are very tender and absorbing the cooking liquid.